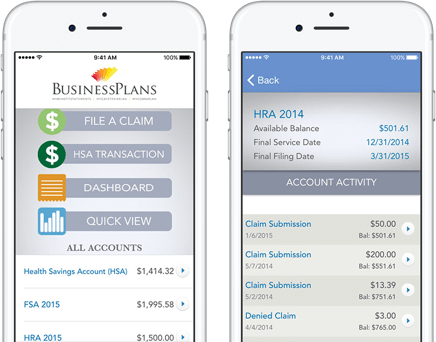 myCafeteriaPlan On-The-Go App™: Download from the App store, enter passcode, select File a Claim, and follow prompts. Log into your account and click the “File a Claim” link on the left-hand menu. As a licensed Third Party Administrator (TPA), we help by processing claims, record-keeping, and maintenance of your new or existing reimbursement plan. Call today for more information on your pre-tax plan at (800) 865-6543. Health savings accounts are tax favored accounts that can be contributed to by or on behalf of eligible individuals covered by certain high deductible health plans (HDHPs) to pay for certain medical expenses of eligible individuals and their spouses and/or tax dependents.